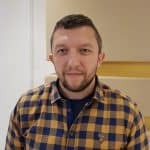 Snapchat’s popularity stems from the seemingly ephemeral nature of the messages it allows us to send, but also because we can closely follow celebrities and other famous individuals. If you’re using this app, check out our Snapchat security tips! 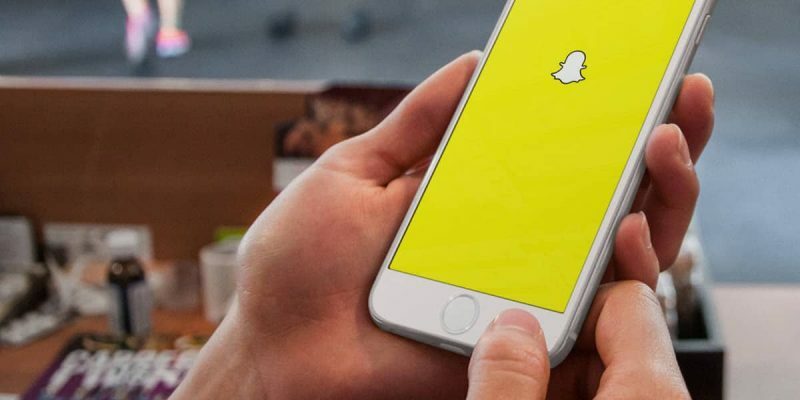 While Snapchat might seem safer than other messaging apps because it lets us send self-destructing messages, there are now plenty of apps designed to capture snaps before they get permanently deleted, even without notifying the sender. There are also other Snapchat privacy issues, and we’ll discuss them as well. This is something you should do for practically any app that allows it. A secure login is probably the most important thing you can do to protect unauthorized access to your apps. If you’d like to enable Snapchat Login Verification (two-factor authentication), launch the app and tap the ghost icon at the top of the screen. Then, open the Settings menu by tapping the cog icon. On the Settings screen, tap the Login Verification option, and tap again on Continue. Next, you can choose the verification method to be Text or an Authentication App. Depending on your selection, you will receive the verification code via text or the authentication app of your choice. Enter the code and you’re done. Snapchat’s most unique feature and the one that made so many people use the app is the self-destructing nature of its messages. Nevertheless, because it has become so popular, there are now lots of apps for both Android and iOS that can capture snaps without notifying the sender. As a result, you should still be very careful about the snaps you choose to share. Keep your private photos to yourself, or at least don’t rely on Snapchat as a secure way of sharing them. This is Snapchat’s default setting and it ensures you can only send and receive snaps from friends that added you back. This way, you will always know who is viewing your snaps. You should definitely go back to the friends-only setting if you’re currently using the “Anyone” option (it’s pretty obvious what this does). Snapchat has a “Quick Add” section similar to Facebook’s “Suggestions”. It lets your friends and other Snapchat users you have in your phone’s contacts to add you to their friends. This might seem harmless but I think it’s safe to say not everyone in our contacts are actually friends – some are just people you barely know (like your plummer for example). Keeping this feature on could expose you to unknown people and privacy-wise the safest thing to do is to disable it. 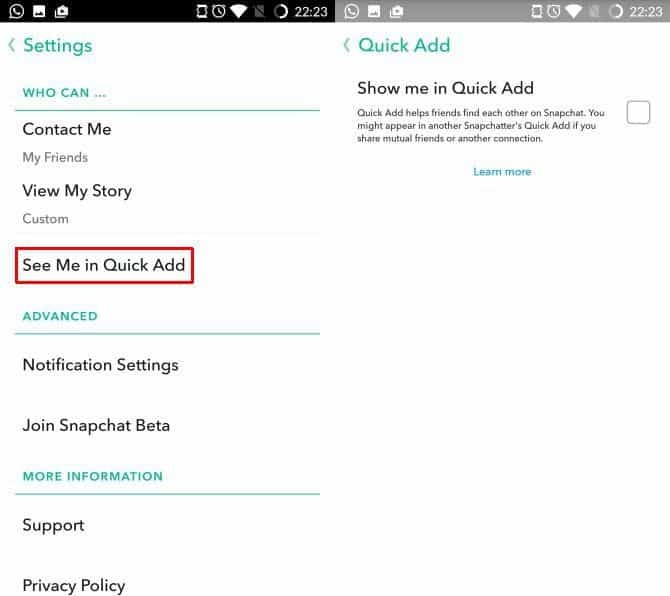 To turn off “Quick Add” open Snapchat’s Settings menu. Locate and tap on the “See Me in Quick Add” option. Then, simply uncheck the box next to it to disable it. With so many social networks, we can easily share whatever we want with our friends, as well as strangers. I’ve seen lots of Snapchat users share their username on various social channels. 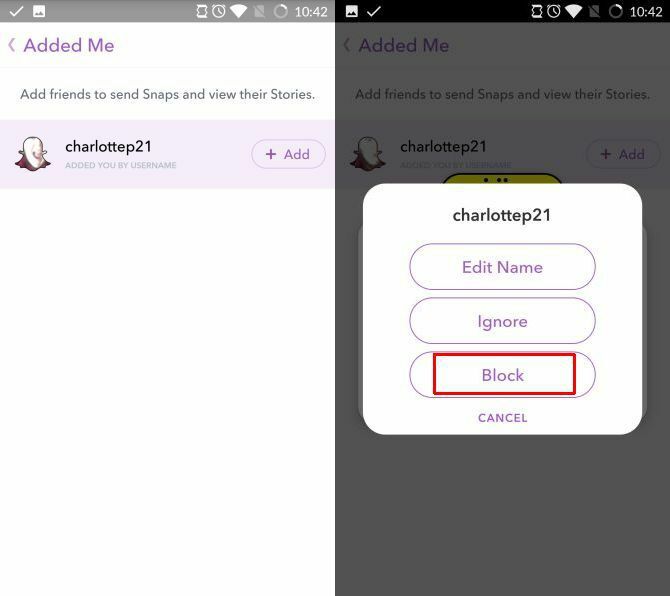 This makes it easy to exchange Snapchat contact information but if your social accounts don’t have strict privacy settings it will also make this information available to other random people. Snapcodes are another way to share your contact information. They’re QR codes which other people can scan to add you as a friend. It’s obvious sharing your snapcode publicly via social media is just as dangerous as sharing your username. Even if you follow all the Snapchat security tips mentioned above, you might still get requests from random people every now and then. Adding strangers to your friends’ list is not a good idea since they’ll be able to see your existing stories and future snaps. When you receive a random request, you should simply hit the Ignore option. Nevertheless, if there’s someone that’s repeatedly trying to make you add them, you can permanently block that user. To do this, open your profile tab by tapping the Ghost icon then select “Added Me”. Find the user that’s bothering you on the list and select it. Tap the cog icon and select Block in the list of options.